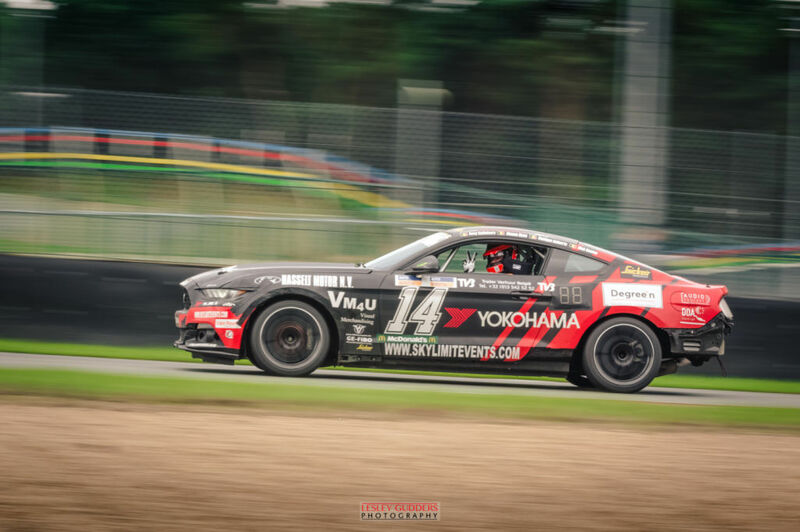 A Ford Mustang in the 24 Hours of Zolder is kind of unique. 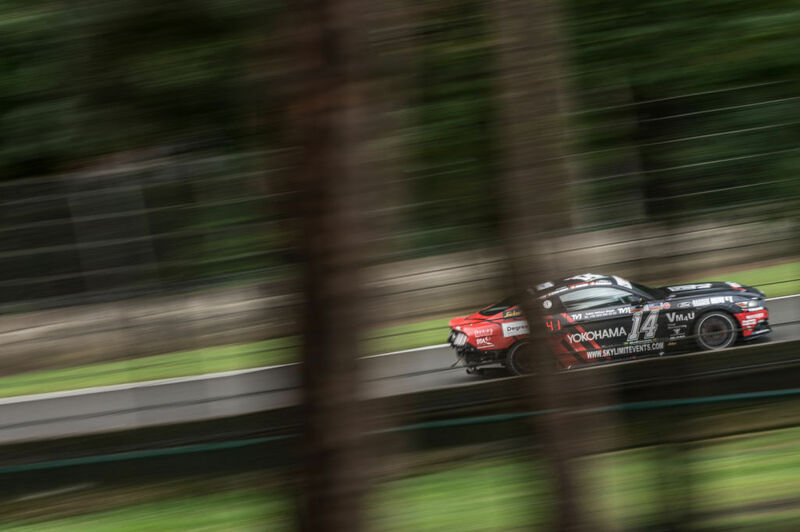 But since Team Floral is testing this american muscle car, #14 is loved by the fans. Her a report with many ups and downs. The photos are made by Olivier Dekens, Lesley Gudders and Brecht Decancq. A lot of people were on track during the gridwalk. The fans came to ask autographs and pictures of the drivers. 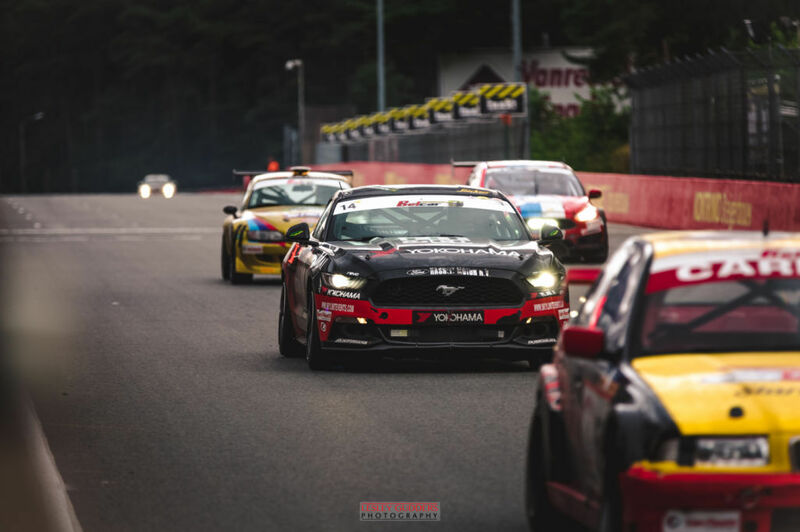 Menno Kuus placed the Mustang in between the BMW 235i Cup cars on the grid. His team mates were Davy Suffeleers, Danique Aelaerts en Nick Geelen. 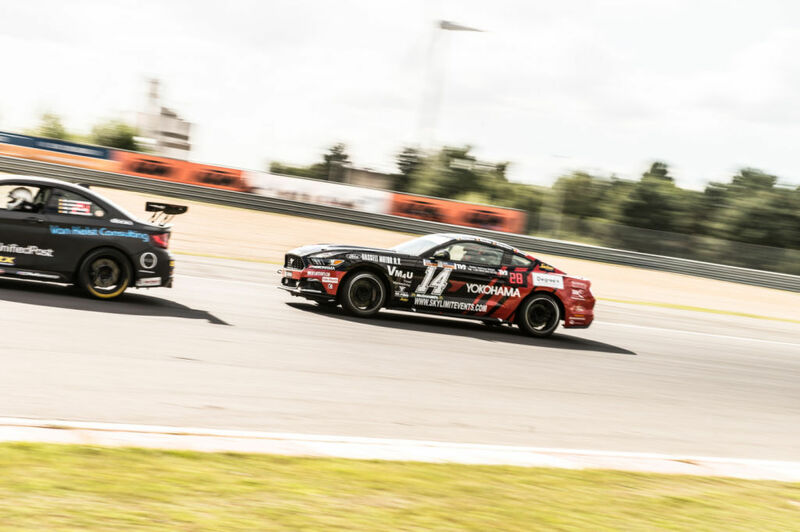 At 16:30 the race was started. 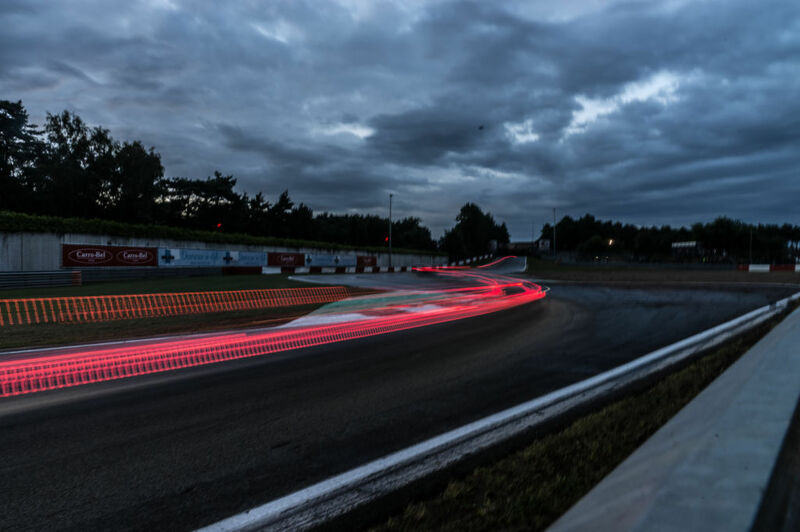 Menno drove with a good tempo and after his first pitstop the wheel was taken by Danique Aelaerts. 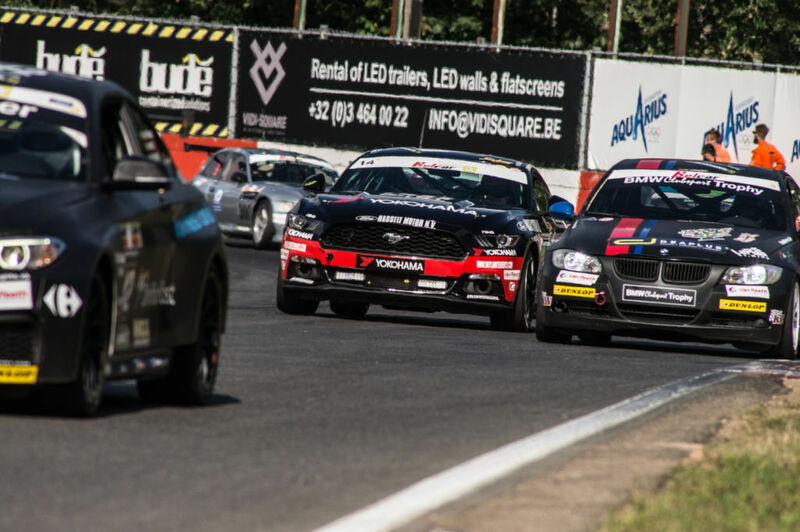 Ze could keep the "Hasselt Motor" Mustang inside the top 30. 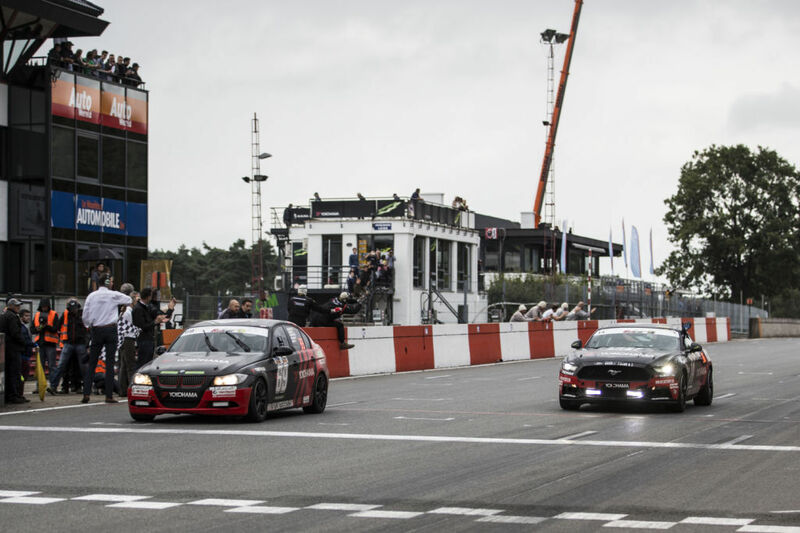 Also Nick Geelen and Davy Suffeleers kept a very good speed. At the sunset we knew we would lose some time due to brake changes. But thanks to the fast working AR performance crew, we could keep our position. 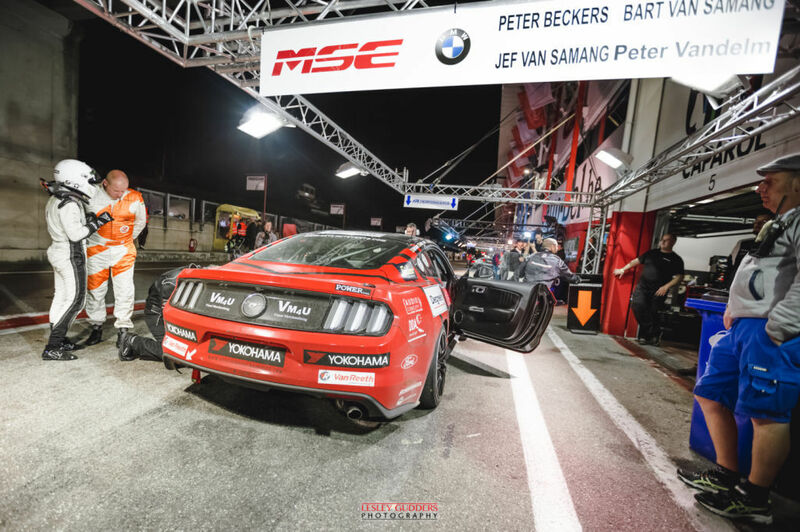 During the night the Mustang moved up to P5 in the BELCAR 4 class. Just before the sunrise it went wrong for Davy Suffeleers. 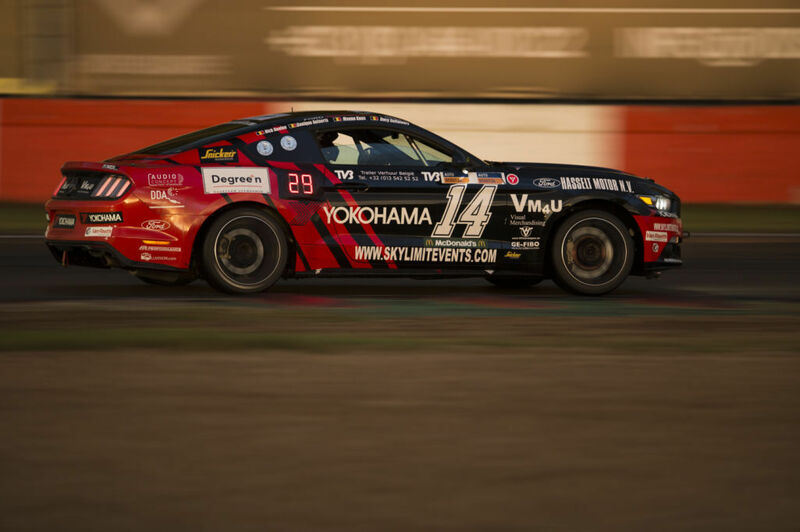 He could not slow down enough, avoided a Porsche and ended against the tyre wall in the gravel of the Bolderbergbocht. The driver was OK but there was some damage at the car. This is how it looked afterwards. 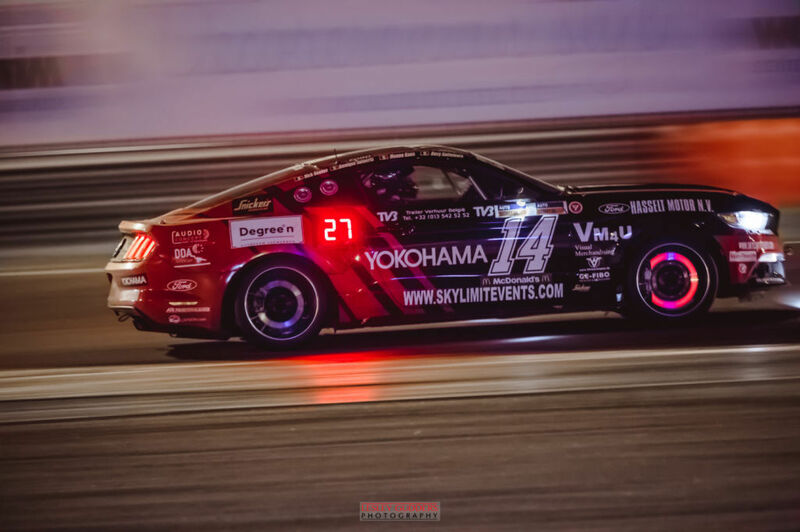 No podium this time but with the progression made, we are sure that the Mustangs who will competen next year will be stronger, much stronger.